Qualified with distinction from the Stonebridge College in Cornwall, Foot Health Practitioner Matthew Ashby S.A.C. Dip FHPT, S.A.C. Dip FHPP, MRFHP is a specialist in this field of Foot Health Care. Matthew is a member of the Alliance of Private Sector Practitioners. He is also a member of the Register of Foot Health Practitioners. 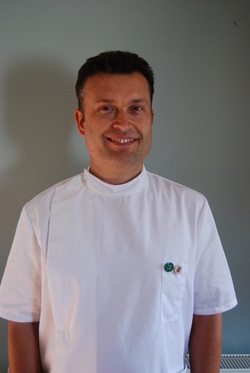 As a graduate of Stonebridge College, Matthew has benefitted from the experience that the College has gained since it was established over 20 years ago, the college having successfully trained Foot Health Practitioners for the last 6 years. Students gain valuable experience on a day to day to basis within a clinical environment dealing with more than 2880 patients per year, enabling students to gain in-depth knowledge and experience of a vast array of foot health conditions.